We spent last Easter in pottering about Tuscany and as mentioned had a cooking class at a fancy pants hotel outside of Lucca were we learned how to pump out tender pastas like Fazzoletti, Mezzalune, Pappardelle, Ravioli, Tagliatelle and Tortellini. Just read that last bit aloud. Was that not beautiful? 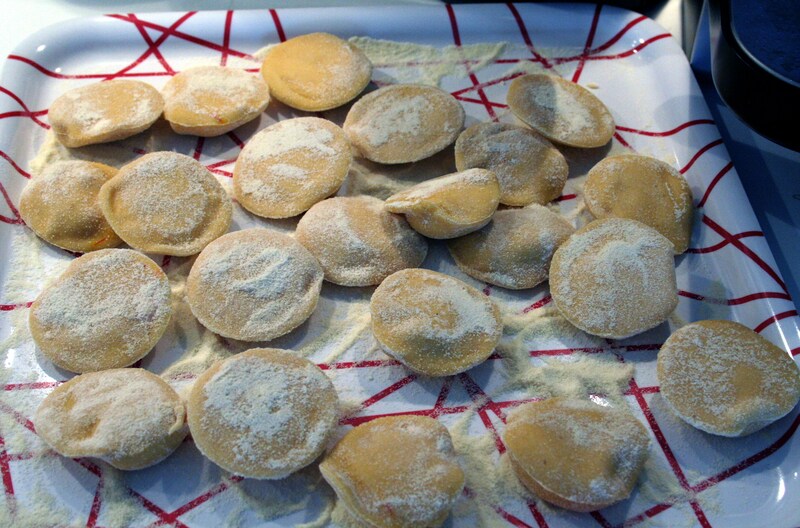 This is a recipe for pastas with filling like Mezzalune, Ravioli and Tortellini. 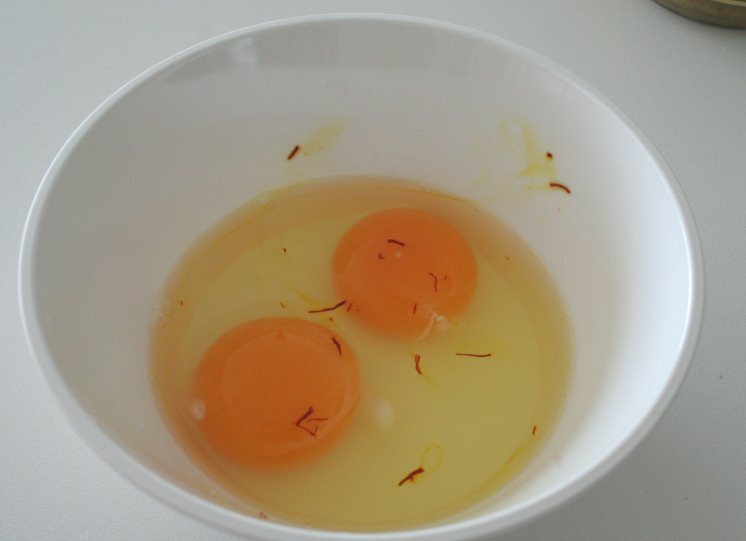 Crack the eggs and add the saffron. Let sit until the color starts bleeding. Whisk together. In a large bowl mix together by hand all ingredients. When thoroughly combined turn on to the counter dusted with semolina. Knead until smooth. Wrap in plastic and let the dough rest in the refrigerator for 15 – 20 minutes. The dough at this point can be stored in the fridge for up to 3 days. 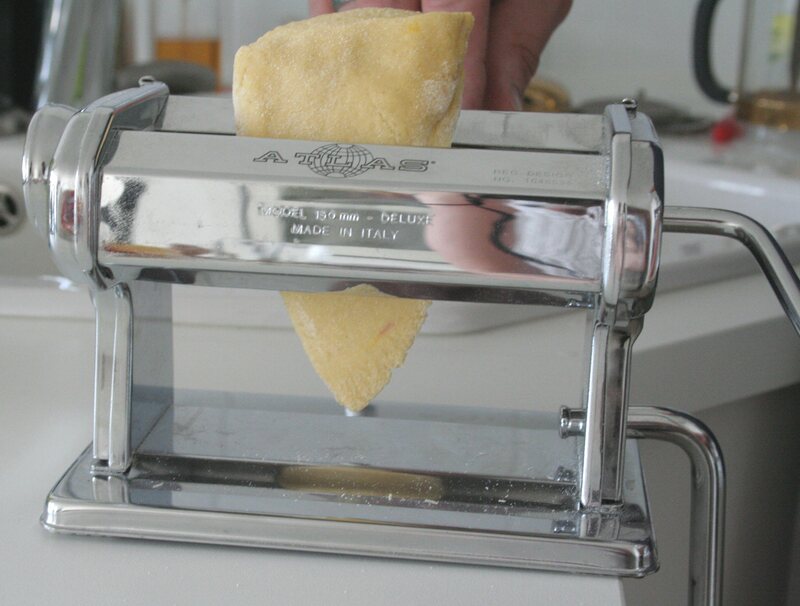 Cut into four portions and run through pasta machine starting at the highest and reducing slowly. 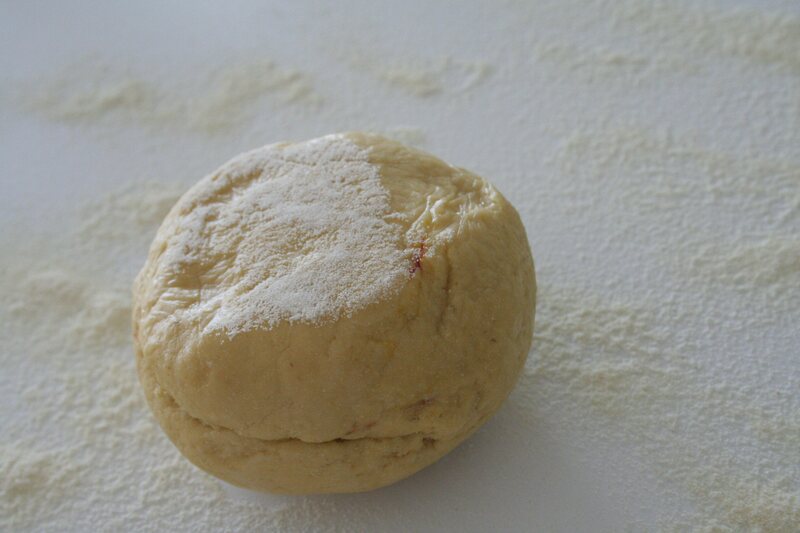 Keep the rest of the dough covered while you are rolling out pieces to avoid it drying out. My machine has a 1 -8 setting and ravioli is ready at setting number 5. 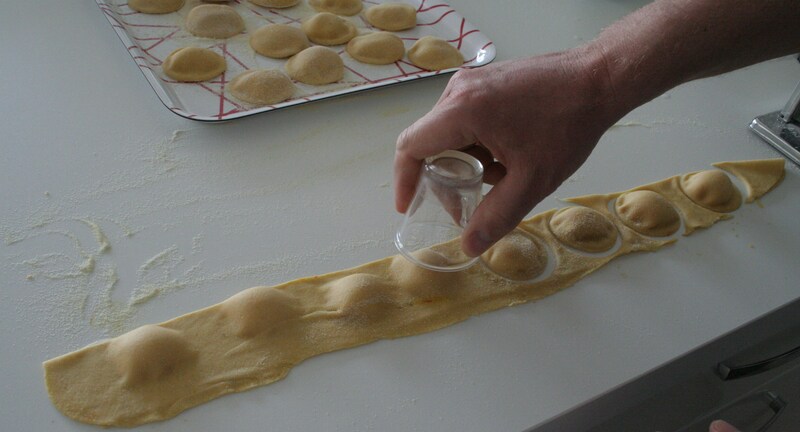 Alternatively, if you don’t use a pasta machine, you can roll out the dough to 2 millimeters thickness with a rolling pin. From here you have two attack routes. 1) Roll out two equal sized bits 2) Roll out one bit and fold onto itself. You choose. We went with route 2. 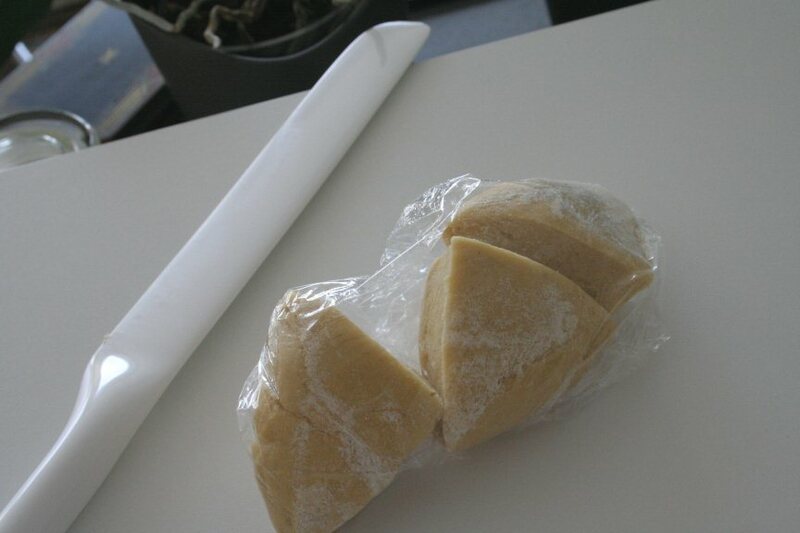 Lay the rolled out dough on a surface dusted with semolina. Find a smallish coffee cup or an espresso cup to lightly stamp out where you need to aim your filling. Dot the filling in the middle of the outlined target, lightly brush water around the filling and fold the remain dough over. Lightly tap around the filling to remove air bubbles and create a seal from top to bottom. Stamp out the ravioli with your cup. Do not be tempted to use a glass here, a good solid porcelain cup is safest or fancy ravioli stamp if you have one. 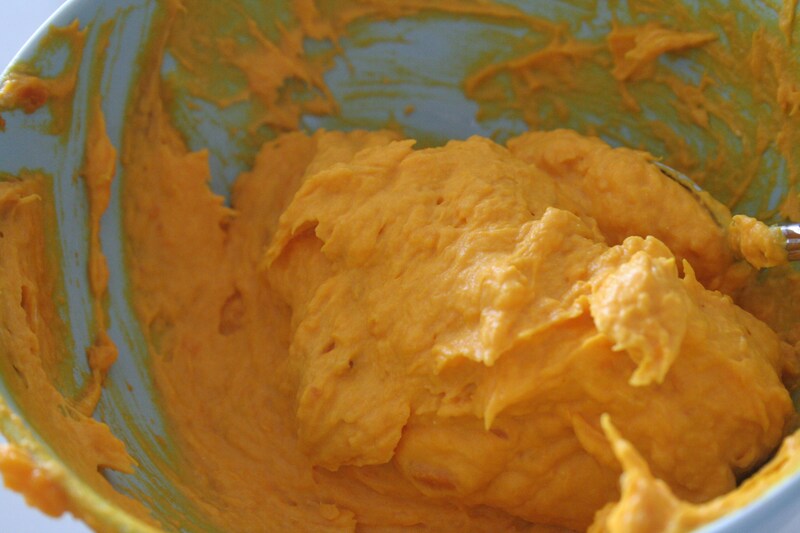 The dough can be recycled once – after that, it will be too tough for good pasta. Place your finished product on a tray dusted with semolina. 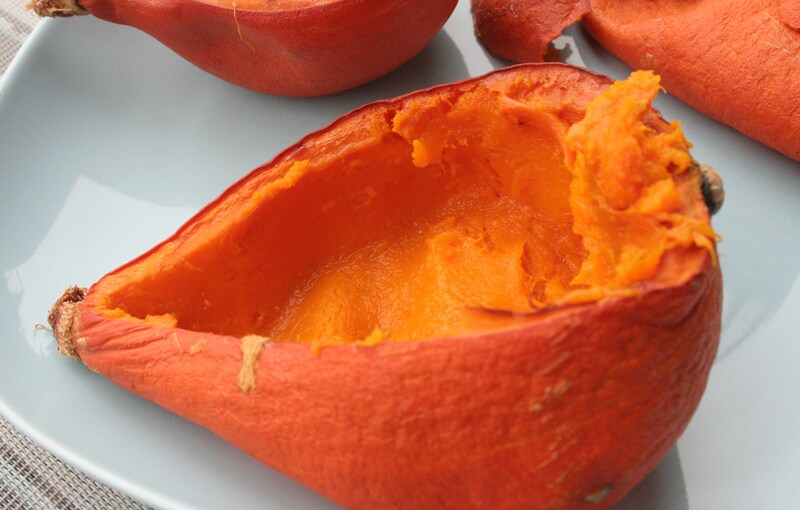 Let dry at room temperature for at least 30 minutes. If your filling is temperature sensitive, cover with a towel and place in the fridge until ready to use. 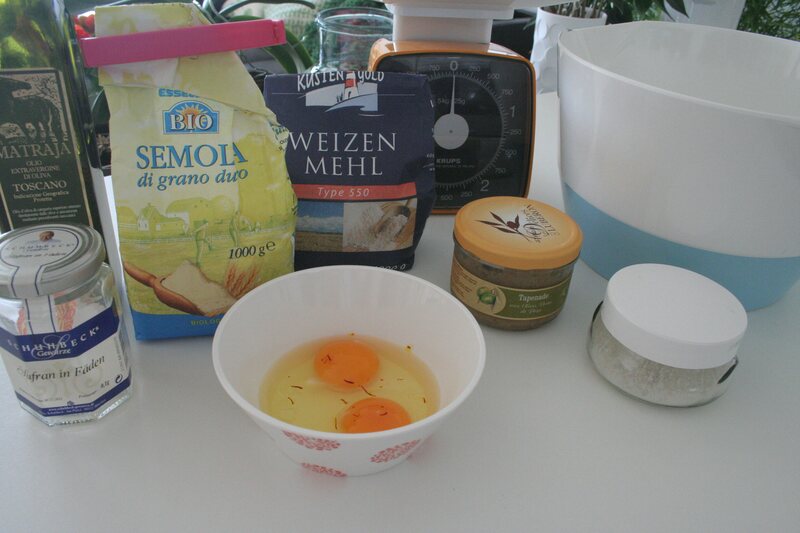 Note: it is important to use semolina and not flour for dusting, so you do not increase the gluten in the pasta. Bring salted, oiled water to a rolling boil. 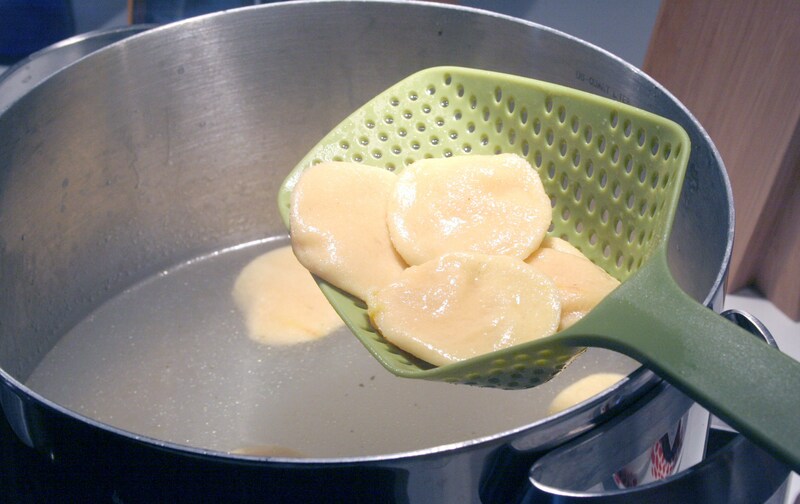 Add ravioli carefully to avoid plopping noises, stir and let cook until it floats on the top, approximately 2 minutes. Drain well. I think that looks excellent and am excited that we thought ahead to freeze some roasted pumpkin guts last fall while they were still available. You sure about that half milliliter of white wine though? 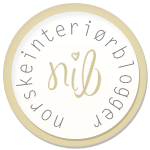 How did you measure it? 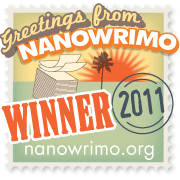 Thank you for catching that. 50 ml or 1/2 dl is what I meant. 1/2 ml would be hard to measure!